Drawing Mr Darcy: Sketching His Character is a Pride & Prejudice variation where the deviation from Austen's story starts a long time before we meet the characters in Pride & Prejudice; Melanie Rachel's diversion from canon starts when Miss Elizabeth Bennet is just 10 years old. Here, Mr Bennet's finances are more precarious than in canon; he has been propped up by his childless aunt. When she offers to take one of his girls to raise as her own he's in an awkward position - while he doesn't want to lose his daughter he has to think of all of them, plus himself. It's not a request he feels can be refused. Offering to adopt a relative's child and break up their family seems a bizarre concept to a modern reader, but at the time it wasn't uncommon, and was actually regarded as a kindness. It happened both in Austen's fiction (Mansfield Park, and to a lesser extent in Emma) and in Austen's own family, when one of her brothers was adopted by a rich relative. Elizabeth was the Bennet daughter most like him. She was at once her mother's constant target and growing into his favorite child. That posed a problem of its own. He should not have favorites among his girls. Heaven help Elizabeth should Fanny ever discover such a thing. Poor Elizabeth! While one can see all of the benefits to both child and sisters of this arrangement, on the other hand you can't help but feel for the little girl transported away from her family. Elizabeth takes on the surname of the her relatives, the Russells, and so is not known as a Bennet to their acquaintances and friends, who include George Darcy and his family. Although a friendship between Elizabeth and Georgiana Darcy is cultivated, visits happen when Fitzwilliam is away at school and therefore Miss Russell never meets the younger Mr Darcy. Later their paths do not cross due to bereavement and travels. Finally, when Elizabeth is around 20 she is returned to her family to become reacquainted with them. They ask that she re-assumes the name of Bennet, and, with the agreement of her aunt, she does this. During this period Mr Darcy, fresh from the upset of the near-elopement of his sister, as in canon, comes to Hertfordshire, and is just as charmless on first acquaintance to Miss Elizabeth Bennet as in Austen's novel. However, the Bennet sisters are different to canon. All of them have had a different upbringing, with more discipline, due to the governess that was provided following Elizabeth's departure. Elizabeth herself has had a vastly different upbringing, and so her experiences and views differ from Elizabeth of canon. In particular, Elizabeth has knowledge of Darcy that canon Lizzy did not - she knows that Fitzwilliam Darcy has a lot on his plate and is a basically decent man and a good brother. Therefore his comment is not held as hardly against him. In canon, Elizabeth explains to Darcy that she is trying to sketch his character - in this book she also attempts to do this, using both her interest in human nature, and the keen artist's eye that has been honed by her superior upbringing to literally draw interesting characters that she meets. How will she get on in her endeavours? And will Mr Darcy be as drawn to an Elizabeth who has been brought up to know better than to be impertinent?! When Mary described Jane as "the queen of second chances," all three of them had erupted in laughter at the apt description. Just as they were recovering, Jane had allowed that she was often disappointed with the outcome and had become firmer about offering third changes. This had set Mary and Elizabeth off again while Jane just watched them, and honestly perplexed, asked, "What?" However, the rendition of the Bennet parents is harsher. To some extent this is deserved, as Mr Bennet is negligent in many ways, but Mrs Bennet, while not the pantomime villain portrayed in some variations, is not shown in a flattering light. In P&P Elizabeth is not blind to the faults of her parents - in some respects she shares her father's optimistic feelings that everything will work out in the end so she doesn't judge him as harshly as she should - but she also regards them with affection, which this Lizzy doesn't seem to. Her more clear-eyed view of her father made sense, as this Elizabeth is far more aware of finance, but I was sorry to see the relationship between mother and daughter and lack of maternal feelings. Elizabeth's eyes widened. Your accent is a little off, he had said. She knew she should be mortified, but such a playful response from him was both unexpected and delightful. Instead, she pressed her lips together to keep from laughing. There were only a very few downsides for me of this book. There were a few phrases with a US flavour to them, mostly regarding 'write a person' rather than 'write to a person'. I also felt that there was a bit of a Darcy 2005 vibe, rather than Austen's Darcy. I think that Austen was clear in her view that Darcy's poor behaviour sprung from pride rather than shyness and I prefer him to have the same character flaw as in canon, so that he deserves to squirm! To be fair, this Darcy does squirm over his comments at the assembly, amongst others. One thing I enjoyed, and hadn't expected to encounter, was a large dose of humour.... what is Mr Hurst doing, when he is to all appearances out for the count, recumbent on a sofa?! And as for romance? Sigh... swoon... sigh... 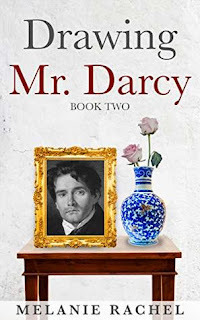 I loved to see so much from Mr Darcy's perspective, and it was not disappointing... the poor man tortures himself with the thought that he can't have somebody whose connections and place in society is far higher than he imagines! As you know, this is book one of two, but in some respects, I feel like the story is pretty much told. For this to be two books there must be some events ahead. I look forward to reading the second installment of this book. I am pleased to say that this book is already available, so I hope to read it very soon. I'd heartily recommend this book, and would rate it as a 4½ star read. 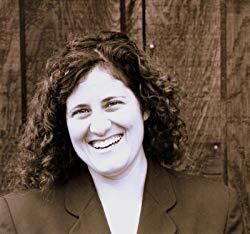 Melanie Rachel is a university professor and long time Jane Austen fan. She was born in Southern California, but has lived in Pennsylvania, New Jersey, Washington, and Arizona, where she now resides with her family and their freakishly athletic Jack Russell terrier. 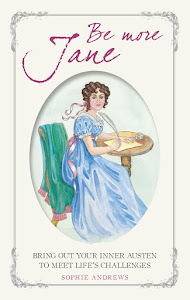 Her newest novels are Drawing Mr. Darcy: Sketching His Character (Book One) and Drawing Mr. Darcy: A Faithful Portrait (Book Two). She is currently at work editing a modern P&P adaptation, Headstrong, which she hopes to publish in 2019. You can connect with Melanie via her Facebook page or website. As an aside - I love how book 1 has a rough sketch on the cover, and book 2 has a full portrait. I look forward to reading book 2 to see how Elizabeth gets on with completing her sketch, and hope to have post about that book soon! Melanie Rachel is very kindly offering a giveaway. 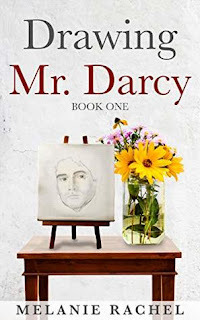 She's giving away a paperback of Drawing Mr Darcy: Sketching His Character to a US reader, and an ebook of the story, open to international entrants. To enter, just comment on this blog post before the end of the day on Sunday 2 December. Please indicate whether you are entering for both books or just the ebook. It would also really help me if you could give some contact details, or a pointer of how I can contact you (if we are Goodreads friends, twitter name, etc.). Thank you so much to Melanie for the giveaway! I really enjoyed reading this book on one of the forums. I love the character development and how the dynamics of the Bennet Household have changed without Lizzy in residence for 10 years. Beautiful stroy and one I wouldn't mind owning and reading again. I would love a print book but either version is fine. jenred88 at yahoo dot com Nice to see you here Melanie! Hi Jen. This is one of the things I love to see explored in JAFF too - how differently the story can go from one initial change, the knock on effect. Thank you so much for dropping by, Jeanne! I really liked the premise too, it's an interesting springboard. Thanks for the kind words, Jenn and J.W.--and good luck in teh drawing! When this last comment came up, I thought you were swooning over the portrait featured on your cover! Hi Patty. I've only read the first part. Glad you enjoyed the whole thing, as I want to know what happens next. I am looking forward to seeing a certain person realise that they have burned their bridges! Thank you, schilds! I have my beta and my editor to thank--we came up with the idea sort of independently of one another, but my editor insisted and my beta actually used her daughter's light box to do the sketch, lol. I would imagine that the Austens had so many children, it was a relief to have one well situated, particularly as they knew he could help the others if necessary. But I don't know for sure. Hi Sagan. On a sensible level it makes sense as the whole family will benefit, and there is one less to feed, clothe and educate, but emotionally it must have been harder. I think it must have helped if you had a larger family, because giving up the child not only benefits them but also their siblings, though it seems hard on the child that they have to be the sacrifice. Though, depending what they leave and what they go to, it may well be a change for the better! I think the surname thing must have been a bit of a bitter pill to swallow for the parents but that's the price they would have had to pay. I felt for Mr Bennet very early on in the book when his Uncle speaks to him about changing Elizabeth's surname. He doesn't really want to let her go at all but is considering the wider good of the family, and to Elizabeth herself. Good luck, Ria, and thanks for entering the giveaway! I'm glad you like the sound of it Ria! I know of a few with an Elizabeth brought up outside her family. One I read had her brought up as 'Anne de Bourgh' after a childless Lady C concocts a fake pregnancy scheme to ensure her financial security, but I can't remember the title! It's a premise I enjoy reading because a change so many years ago can lead to quite a different situation later on. Ceri, if you ever recall the title, I want to know! LOL. I would love a print version as I have already paid for the Kindle. Still looking for time to read it though! Your review will put it to the top of my TBR on my kindle. Thanks for being so generous with your thoughts. You are so welcome! Good luck in the giveaway and I hope you enjoy the ebook while we wait to hear! It's well worth making the time to read this one, if you can. The only thing I find with a series is that it can seem more daunting - if you are short on reading time you need to find time for a series rather than just one, but at least this is only a pair of books rather than a longer series. I have the first book and have yet to read it. This makes me want to start! Would love to win book 2. Thanks, Brenda! Good luck in the giveaway! Thanks, Deborah! The covers were really a group effort. Good luck in the giveaway! Hi Deborah Ann. I really liked the covers too, and how they link with each other. What an engaging new premise. It reminds me of when Austen's own brother was adopted by wealthy relations and I always wondered what that would be like for the adoptee and the family when they got together. I'm so curious about this one after reading your review. That was actually where the idea originated for the adoption, Sophia. I wondered, too! Thanks for posting, and good luck in teh giveaway! Good luck in the giveaway, Darcybennett! What a fascinating new take on P & P. Looking forward to reading it! Hope you enjoy it as much as I did, Lily! I have noticed that these books have had some great reviews and added it to my "Wish List". So count me in for either book or the e-book and you can contact me at odara7rox(at)rcn(dot)com. Great review; thanks for sharing. Hi Sheila. I took a look at some other reviews after I wrote mine and they are very good. The book seems to be popular with everybody. darcybennett, Lily Bernard, and Sheila Majczan--thanks for posting, and best of luck in the giveaway! I hope you all like the story whenever you get around to reading it! Was excited to hear that Melanie had a new book coming out! I loved the 'Courage Rises' books and looking forward to reading these two! I definitely like the 'outside the box' premise for this one! Thank you for a chance at the e-book giveaway! 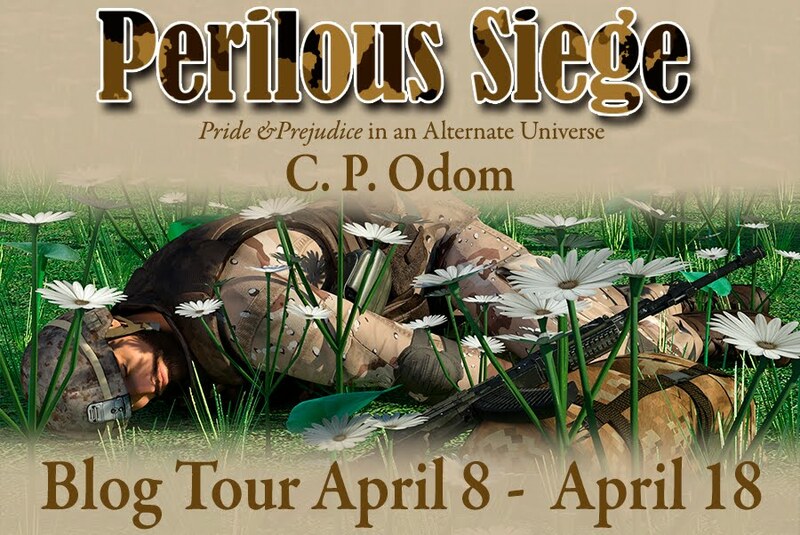 You can contact me through Goodreads Ceri if I am fortunate enough to win! I still haven't read the 'Courage Rises' books, Carole. I am pretty sure I have one of them, at least. My kindle library is like the JAFF fan's equivalent of Belle walking into the Beast's library in Beauty and the Beast! Thanks, Carole! So glad to hear that you liked the Courage Rises books, too--I hope that with each book I'm getting a little better. Good luck with the giveaway! I love the sound of this book! And I love the covers! Would love to win an ebook please! Thanks for sharing the love! Claire, thanks for the kind words! The covers were kind of an unexpected "killer" so I'm glad they worked out so well! Good luck in the giveaway! Thanks, Nightstitcher! Good luck in the giveaway! Hi Nightstitcher! Thanks for dropping by and good luck in the giveaway! I just discovered you...Courage Rises is such a great book!!! I am excited to read the next one and this new series as well!!! That's really great to hear, Danielle! Thanks for letting me know you enjoyed Courage Rises. Good luck in the giveaway! Glad to hear you enjoyed Courage Rises, Danielle. I haven't read it yet. It sounds like a brilliant variation from what I read in your detailed review, Ceri. I cannot wait to read this story and see how it turns out for our dear couple. I would like to enter for the e-book version as I'm international. Thanks for the giveaway, Melanie. I really enjoyed it and hope you enjoy it too, when you read it.